Here’s one for you. 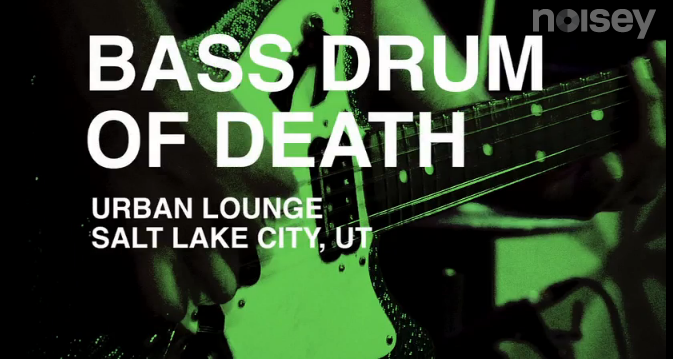 Harsh, thrashy, garage rock by a band with a lo fi sound, it’s Bass Drum Of Death. They’ve been featured on Vice.com’s Noisey, who have made a five video featurette on the band. It kicks off with a bit of an introduction and then has four live songs. If you’re a fan then it’s definitely for you. If you’re not, then you should head over and see what the fuss is about. Here are two songs that I reckon are worth listening to.